You may have heard about the removable wallpaper trend and be curious about it. What is it? How does it work? Is it a good fit for my home? These are all common questions that we hear about this product. To that end, we created the beginner’s guide to removable wallpaper. Read on to learn more about this product and how to tell if it’s a good fit for you. Removable wallpaper is a growing trend in the world of interior design. Renters no longer have to worry about losing their security deposit because they customized the unit to their personal tastes. Nor do homeowners have to worry about keeping up with changing trends. 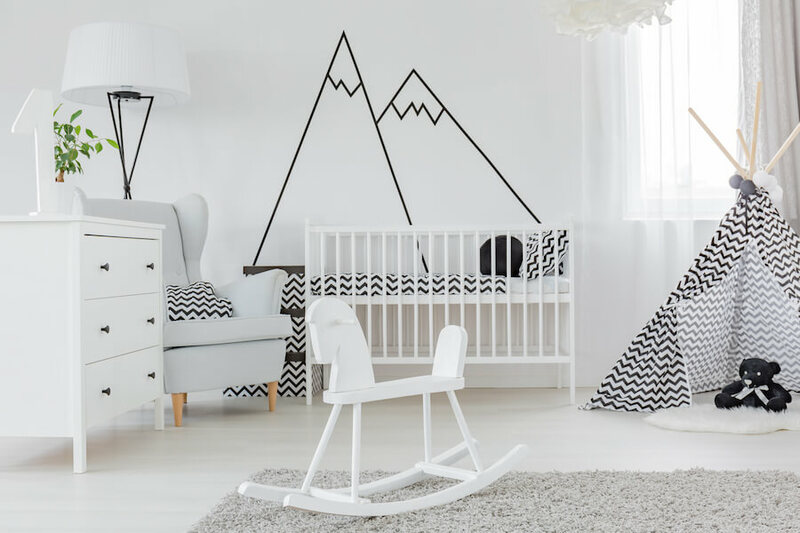 Removable wallpaper is the temporary decorating option that allows you to bring a touch of personality to your walls without making any permanent commitments. As the name suggests, removable wallpaper is a piece of decor that adheres to your wall, Yet you can also easily remove it when you’re done with it. 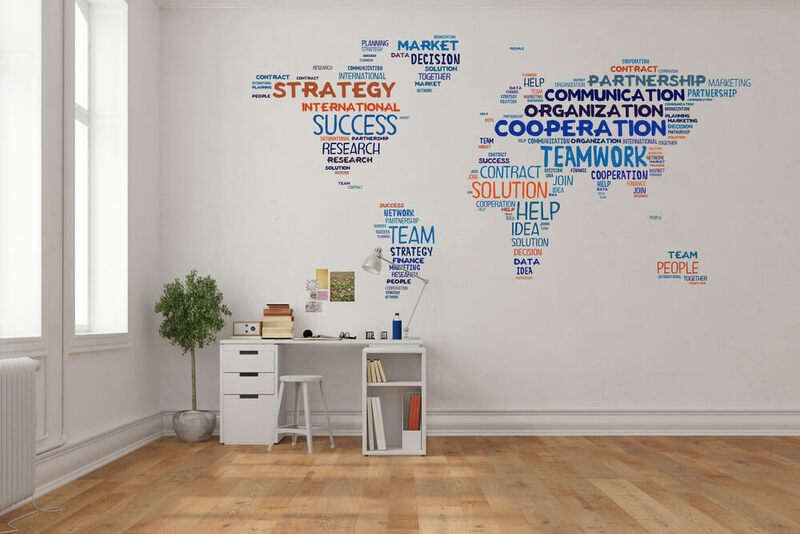 You may know this product under another name: wall decals. However, today’s company’s are working hard to ensure that their designs look as modern as possible and fit in with today’s trends. The easiest way to describe how removable wallpaper works is to compare it to a sticker. Most companies use a low-tack adhesive paired with a sheet of backing that allows you to use the peel-and-stick method for installation. You can adhere removable wallpaper to the walls of your home in much the same way you would a sticker or any other kind of adhesive material. One thing that’s important to note here is the condition of your walls will play a big role in how your end product looks. If your walls have holes in them or are otherwise pock-marked — think popcorn ceilings — those imperfections are visible underneath the wallpaper. Your best bet is to use this product on smoothly painted surfaces. Now that you know a little more about removable wallpaper and how it works, it’s important to focus on using it the right way. Here are a few crucial considerations to keep in mind as you shop for wallpaper to install in your home. With removable wallpaper, aesthetics are a priority. In addition to choosing a print you love, you should also double-check to make sure that the size of the print fits with the size of the room. Also, check that the colors used in the print match your color scheme as a whole. There’s also the quality of the paper itself to consider. Ideally, you want to choose a product that is textured so it looks and feels like real wallpaper. Since most removable wallpaper companies are online and it can be hard to get a sense of texture through a computer screen, we recommend asking for a sample of the paper to be sent to you before you buy. Like traditional wallpaper, removable wallpaper is often sold in panels. You will need to know both the measurements of the room and the panels themselves in order to know how much paper you’ll need for your project. Tread carefully when taking your measurements and do them twice so you can be sure that you’ve gotten the right result. As always, we suggest ordering slightly more than you think you’ll need to account for any mistakes during the installation process. Yes, the peel-and-stick method seems easy. However, the reality is that removable wallpaper is much bigger than a traditional sticker and is also much more unwieldy. It can be helpful to have more than one person on hand during the installation process. We suggest having one person place the panel on its spot on the wall while the other pulls the end of the panel taut and smooths down. In addition to providing an extra pair of hands, a second person will also be helpful in verifying that the panels line up correctly with one and other. If you’re ever unsure of how your final product will end up looking, take a step back and take in the project from afar. Sometimes all you need is a little distance to give you perspective. Nobody’s perfect, so it’s safe to assume that a mistake will occur at some point during the installation process. The advantage of removable wallpaper is that it makes these issues easy to fix. 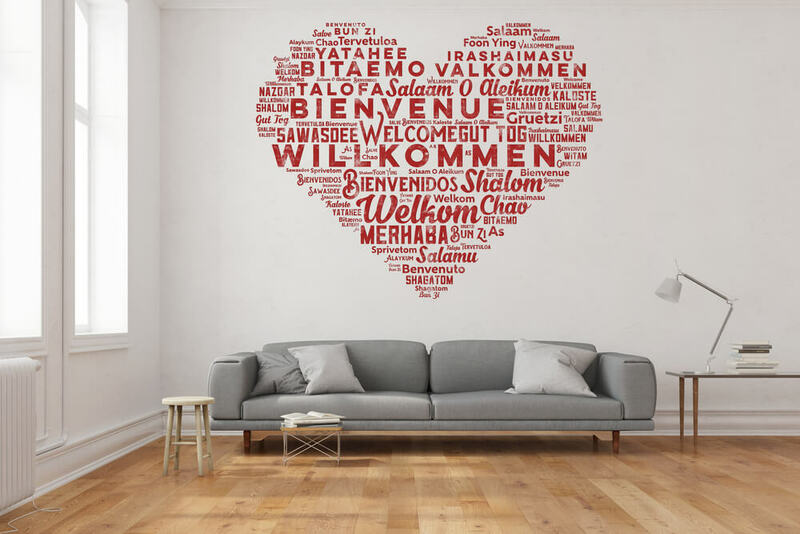 Often, all it takes to correct a mistake is to carefully peel the decal away from the wall. From there, you can either replace the panel or shift it into the correct position. The post The Beginner’s Guide to Removable Wallpaper appeared first on Freshome.com.